Thank you to MANTA KLANGBOONKRONG and THE NATION for the article from February 19, 2016. 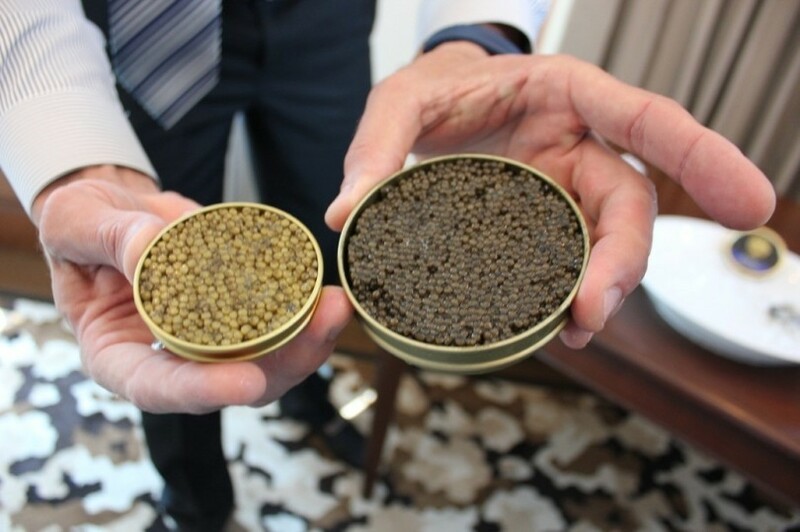 ONCE AN ALL-TO-RARE delicacy found only in top hotels |and on the most elite dinner tables, caviar will soon be much more widely available thanks to Thai-Russian firm, Caviar House, whose efforts to raise the sturgeon which produce the coveted roe are starting to pay off. The Thai Sturgeon Farm, which was set up in Hua Hin back in 2014 to raise sturgeon fish both for their eggs and meat, is currently acquiring fingerlings or baby fish for the farm and once they reach their full potential, some 2,000 kilograms of black caviar will be produced every year and distributed on the Thai market. “It takes a long time to get caviar, especially good quality caviar,” says the Bangkok-based Russian co-founder of Caviar House, Alexey Tyutin, during a recent intimate tasting session.